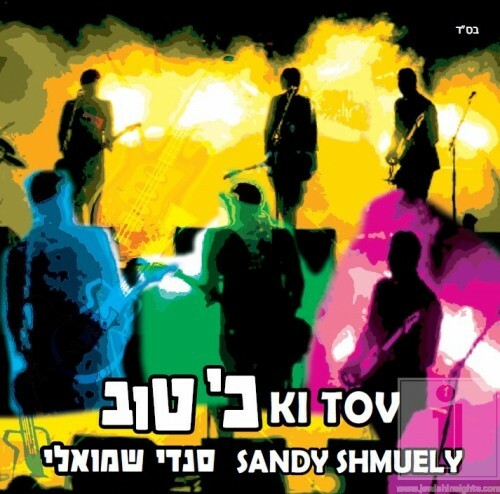 Sameach music is proud to announce that the eighth album of SandyShmuely is finally here and its called “Ki Tov.”The album, one of the best out recently, includes hits like “Sandish” that just has a great feel about it, as well as melodic songs and the quiet joys strings Wally’s famous. Sandy Shmueli, an American artist with eight Jewish music albums under his belt, last recorded in an Israeli production, blue and white. Sandy’s songs (numbering in 54) are a mix of folk and popular connect to everyone. Sandy’s Israeli personality reflected in tunes, processing and execution of his many hits. Shmueli While lives in New York, but through performing across the globe lives around the country all the time. The new album “Ki Tov” includes eleven tracks of diverse original songs all written by Sandy himself. Arrangements and production are a joint venture between Shmueli and Asher Lugasi, an Israeli musician with a recording studio in the NY. Sandy specializes in Jewish poetry, Jewish and traditional variety of the latest music styles, and appears nightly at celebrations and events world wide. Shmueli is considered a prolific creator in the field of Jewish contemporary music. Available from Sameach music. Purchase online by clicking HERE.